DOCTORS and nurses are key members of a health-care team but a study has found that they communicate more via the computer, rather than face to face. This finding comes from studying the communication patterns of health-care workers at Tan Tock Seng Hospital (TTSH). Doctors and nurses, for example, talked to each other less than 10 per cent of the time. In comparison, patients received more attention from doctors and nurses, who devoted 18 per cent to 27 per cent of their time to them. The study, conducted by the National Healthcare Group (NHG), aims to find out the extent of collaboration between doctors and nurses, in view of the ageing population. Older patients tend to have multiple chronic diseases that require interdisciplinary care. Three settings were examined - the intensive care unit (ICU), general internal medicine and general surgery wards. Some 112 hours of interaction were examined, on top of 42 interviews with doctors and nurses. Doctors and nurses working in the ICU spent some 40 per cent of their interaction time in front of the computer. NHG's Mr Issac Lim, who led the study, said this phenomenon is not unique to the hospital: "Some kinds of communication are definitely better done face to face while others are better mediated by the computer." For example, doctors can use the computer to check if a patient had any previous bad reactions to certain drugs so they can avoid prescribing the same ones. But gaps in communication between health-care staff can pose dangers to patient safety - for example, when key information is not handed over carefully to staff on the next shift, he said. There may also be delays in updating family members on the patient's condition. "Family members may get upset because the information is already available," said the sociologist who manages the health outcomes and medical education research unit in NHG. The study was presented at a conference in France last month, where it won the top prize for medical education. It will be presented here at the Singapore Health & Biomedical Congress later this month. The study has prompted the hospital to consider changes, said Associate Professor Tham Kum Ying, assistant chair of TTSH's medical board (education). "The results took a lot of us by surprise," said Prof Tham. "It helped us to realise that something needs to be done." Mr Lim suggested reviewing the workflow of doctors and nurses: "There must be a way to design the workflow such that it facilitates communication." 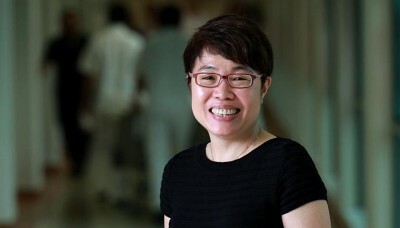 Agreeing, Prof Tham said how the ward is built is also a key factor in shaping communication. "We need to redesign some of our wards. The rest of it boils down to a lot of deliberate training sessions and education efforts." Mr Lim added that the institutions are currently studying what level of computer use would be considered healthy. He said: "Computers are here to stay and we need to understand its impact on health-care work."